We were well over half way to our farm in East Texas when the storm broke. Lightning flashed, thunder crashed and a tree fell with a great ripping noise. When the rain poured in such a flood that we could not see the road, my husband drove on to what seemed to be a bit of clearing deep in the piney woods. As we waited I sensed we would not get to the farm that night to celebrate Christmas with our family. We were sitting there, miserable and dejected, when I heard a knocking on my window. A man with a lantern stood there beckoning us to follow him. My husband and I splashed after him up the path to his house. A woman with a lamp in her hand stood in the doorway of an old house; a boy of about twelve and a little girl stood beside her. We went in soaked and dripping, and the family moved aside in order that we might have the warmth of the fire. With the volubility of city people, my husband and I began to talk, explaining our plans. And with the quietness of people who live in the silence of the woods, they listened. The children sat up eagerly, their eyes bright in anticipation, while their father read on: “And there were in the same country shepherds abiding in the field, keeping watch over their flocks by night.” I looked at his strong face. He could have been one of them. When he finished reading and closed the Bible, the little children knelt by their chairs. The mother and father were kneeling, and without any conscious will of my own I found myself joining them. Then I saw my husband, without any embarrassment at all, kneel also. When we arose, I looked around the room. There were no bright-wrapped packages or cards, only a small, unadorned holly tree on the mantle. Yet the spirit of Christmas was never more real to me. The barn was warm and fragrant with the smell of hay and dried corn. A cow and a horse greeted us, and there was a goat with a tiny, wooly kid that came up to be petted. This is like the stable where the Baby was born, I thought. Here is the manger, and the gentle animals keep watch. As I drifted into a profound sleep, I knew that the light coming through the old pine shutters was the Star shining on that quiet house. The family all walked down the path to the car with us the next morning. I was so filled with the Spirit of Christmas they had given me that I could find no words. Suddenly I thought of the gifts in the back seat of our car for our family. I began to hand them out. My husband’s gray woolen socks went to the man. The red sweater I had bought for my sister went to the mother. I gave away two boxes of candy, the white mittens and the leather gloves while my husband nodded approval. She hurried up the path to the house and came back with a quilt folded across her arms. It was beautifully handmade; the pattern was the Star of Bethlehem. I looked up at the tall beautiful pines because my throat hurt and I could not speak. It was indeed Christmas. Every Christmas Eve since then, I sleep under that quilt, the Star of Bethlehem, and in memory I visit the stable and smell again the corn shucks, and the meaning of Christmas abides with me once more. What is it about the Christmas season that turns some events into giggly delightful memories that we cherish all our lives? I remember hearing a special Christmas-time story about just such an event. Perhaps in the story is the answer to my question. The setting was a small farming community during the early 1930’s. The country was experiencing the Great Depression. There were few dollars changing hands, and roost people were grateful if they still had a home and regular meals. It was a better time to be a child than an adult. But the children also felt the economic sting — for most families even inexpensive things were no longer affordable. When the children entered school that fall, most tried to squeeze into the clothes they wore when school let out three months earlier. The lucky ones had hand-me-downs from older brothers or sisters or neighboring families. During the Depression, some families had enough food to be able to spare some for the children’s school lunches, but some did not have enough. Often the children would pool their lunches — they put all the lunches together and divided everything equally. That was the best way. It’s hard to enjoy your lunch when your friends don’t have one. In many ways it was a special time. Young people grew up a little sooner, and people learned to appreciate small things. As the Christmas season approached, the memories of other Christmases prompted everyone to quicken their step, be happier, look forward to delightful times — to catch the Christmas Spirit. But the harsh economic realities of the time whispered into each ear: “Not this year . . . perhaps another year things will be better.” That is a hard way to face the Christmas season for children. It is even harder for parents. Now of all years for it to happen It would have to happen this year! A new sled entered the market place — the Flexible Flyer! Wow! It was beautiful! It was red — bright red. A gleaming finish covered the graceful wood deck. Up front were the handlebars to steer this magnificent machine wherever its lucky owner would choose to go. This was the ultimate in sleds — the ultimate Christmas gift for a child in a snow covered farming community with lots of hills and slopes. The Flexible Flyer was prominently displayed in the local hardware store window. What a sight! What a delight! What an impossible dream! Neatly positioned by the sled was a reminder of the Depression. It was the price tag. $4.98! A small fortune in those days. Even though it was an impossible dream, that did not keep the children from thinking about the Flexible Flyer. By dreaming we can keep going; we can defy even a Great Depression and guide our very own Flexible Flyer down delightful snow covered slopes and enjoy the crisp fresh air rushing by us as shiny sharp runners send a spray of snow arching from our path as we negotiate twisting turns and bumps and dips. The school Christmas party was held as usual, and school was dismissed for the holidays. The children were happy to be out of school, but they did not look forward to Christmas Day with the same anticipation enjoyed in previous years. Money was very scarce. It was a year to be grateful for a warm bed and a tummy that was not hungry. Gifts and toys and Flexible Flyers would have to wait for better times. The children understood. They could see the struggle their parents were having. They did not want to see the hurt look in their parents faces that asking for toys and Flexible Flyers would bring. There will be other Christmases — someone will still be making Flexible Flyers. But Edith’s mother called her and told her it was time to get dressed and meet the rest of the family at the Christmas tree, and as Edith walked into the room she saw it! Chills ran up her spine! Her hand rushed to her mouth as she let out a high pitched squeal that only a young girl can duplicate. Edith crossed the living room in two leaps landing on her knees in front of the impossible dream at the base of the tree — a Flexible Flyer that had a large red bow on it and a little card that said “Edith” on it. Edith stroked the smooth wood finish, she turned the handlebars from one side to the other, she hugged the sled as tears rolled down her face and then stared at her parents in disbelief. “But we don’t have any money,” cried Edith. Edith’s mother and father felt tears swelling up in their eyes now. The dear price they had paid seemed worth it a thousand times over right now. It was a moment and a feeling that none of them would ever forget. Never! There were other presents. Edith’s mother had made Edith a beautiful dress. Her brother got the pair of cowboy boots he had wanted for a long time. It was a good Christmas in bad times. But through it all Edith was like a frog glued to a dozen springs — she could not be still. Her excitement was evident in every movement, look, and squeal. “A Flexible Flyer!” — she must have shrieked a hundred times before Christmas dinner was served. After the noon-time Christmas dinner Edith’s mother told her to dress as warm as she could, bring her Flexible Flyer, and meet the rest of the family at. the sleigh by the barn. “There is another surprise in town,” she said. As they entered town Edith saw the other surprise. An inclined portion of Main Street had been roped off to form a path several blocks long for sleds. Excited people were everywhere. It looked like the entire town was there. Edith saw Flexible Flyers scooting down every slope in sight. Several sleighs pulled by the horses were being used to pull the boys and girls on their sleds to the top of the barricaded street. Taking turns, down the hill they came in wild delight screeching and screaming and yelling all the way. Near the end of the incline a crowd of parents cheered the group on. Hour after hour the group relished the magic of this special Christmas — the year the unaffordable Flexible Flyer found its way under dozens of Christmas trees. Each family that had bought a sled had to sacrifice to do so. But watching the ecstatic children flying down the hill was reward enough for their sacrifice. As an added bonus, there was deep satisfaction in being able to thumb your nose at hard times for one exceptional day. As the exciting afternoon passed into evening the wintry scene was lighted by the reflection of a full moon on the snow. Several small fires were started to warm the group. It grew quieter as the sledders grew tired from dozens of trips down the slope and the chill of the evening took hold. All were reluctant to end this magical day when an impossible dream came true for children and parents alike. Finally the group gave in to weariness, cold, and hunger. 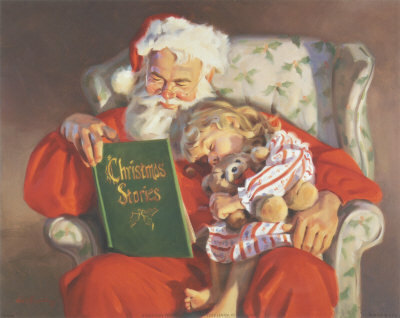 Off they went to their separate homes with their Flexible Flyers and their memories of a once in a lifetime Christmas. Several days later Edith walked into the barn to watch her dad milk the cows. She noticed that their best milk cow was not in her stall. Dad explained that he had sold her just before Christmas. He had some flimsy excuse about her getting old. It was the way he groped for words and an explanation that gave the secret away. Edith felt a rush of emotion, and tears came into her eyes as the truth hit her — her parents had sold their best milk cow so they could give her a Flexible Flyer for Christmas. She ran from the barn and shed her tears where no one could see her. She better understood now how much her parents loved her and how much she loved them. It was a tender, growing, and character-building moment. As Edith shared her new found truth with her best friend at school the next day, she learned that her friend’s father had sold apples door to door in neighboring towns to get her Flexible Flyer money. In time, story after story surfaced to reveal how the entire community had combined in a joint effort of extra work, bargaining, selling, and sharing to buy Flexible Flyers. Sure, the children had all wanted the beautiful red sled displayed in the hardware store window, but none had dared to ask their parents for it because they knew the family could not afford such a luxury in those hard times. But in a secret plan the parents had combined in a dedicated effort of sacrifice and cooperation to provide a very special Christmas for their children. A price of sacrifice and extra effort and increased hardship had been paid. It bought dozens of Flexible Flyers and hundreds of memories with a value beyond price. It also bought treasures not anticipated by the buyers. As the children returned to school after the holidays they were different. Sure, they still had to share lunches and squeeze into clothes that did not fit quite right, and they had to do without things that they took for granted a few years before. What was different was the spirit and attitude the children displayed. The attitude of down-and-out was replaced with an attitude of can-do. They showed more appreciation to parents, friends, and teachers. They sensed the love and sacrifice of their parents and the community, and they felt a need to be better and to do better. The parents felt the change, too. Not just in their children, the whole community changed. Everyone moved with more energy and determination. There were more smiles and greetings as people met on the street. The Great Depression of helplessness seemed to be replaced by a spirit of optimism. As it turned out, the price paid for this very special Christmas was small compared to the benefits received. While buying Flexible Flyers, they also bought a renewed spirit of optimism and determination and faith in individuals, families, and their community. This truly was a once in a lifetime Christmas. I didn’t question Timmy, age nine, or his seven-year-old brother Billy about the brown wrapping paper they passed back and forth between them as we visited each store. In the shoe store the clerk asked what the boys wanted. Out came the brown paper. “We want a pair of work shoes to fit this foot.” Billy explained that it was a pattern of their Daddy’s foot. They had drawn it while he was asleep in a chair. The clerk held the paper against a measuring stick, then walked away. Soon he came with an open box. “Will these do?” he asked. Timmy and Billy handled the shoes with great eagerness. “How much do they cost?” asked Billy. I looked at the clerk and he cleared his throat. “That’s the regular price,” he said, “but they’re on sale for $3.98, today only.” Then with shoes happily in hand the boys bought gifts for their mother and two little sisters. Not once did they think of themselves. Herman and I locked our general store and dragged ourselves home. It was 11:00 p.m., Christmas Eve of 1949. We were dog tired. We had sold almost all of our toys; and all of the layaways, except one package, had been picked up. Usually we kept the store open until everything had been claimed. We wouldn’t have waken up happy on Christmas knowing that some child’s gift was still on the layaway shelf. But the person who had put a dollar down on that package never returned. Early Christmas morning we and our twelve-year-old son, Tom, opened gifts. But I’ll tell you, there was something humdrum about this Christmas. Tom was growing up; I missed his childish exuberance of past years. As soon as breakfast was over Tom left to visit his friend next door. Herman mumbled, “I’m going back to sleep. There’s nothing left to stay up for.” So there I was alone, feeling let down. And then it began. A strange, persistent urge. It seemed to be telling me to go to the store. I looked at the sleet and icy sidewalk outside. That’s crazy, I said to myself. I tried dismissing the urge, but it wouldn’t leave me alone. In fact, it was getting stronger. Finally, I couldn’t stand it any longer, and I got dressed. Outside, the wind cut right through me and the sleet stung my cheeks. I groped my way to the store, slipping and sliding. In front stood two boys, one about nine, and the other six. What in the world? “See, I told you she would come!” the older boy said jubilantly. The younger one’s face was wet with tears, but when he saw me, his sobbing stopped. “What are you two doing out here?” I scolded, hurrying them into the store. “You should be at home on a day like this!” They were poorly dressed. They had no hats or gloves, and their shoes barely held together. I rubbed their icy hands, and got them up close to the heater. “We’ve been waiting for you,” replied the older boy. “My little brother Jimmy didn’t get any Christmas.” He touched Jimmy’s shoulder. “We want to buy some skates. That’s what he wants. We have these three dollars,” he said, pulling the bills from his pocket. I looked at the money. I looked at their expectant faces. And then I looked around the store. “I’m sorry,” I said, “but we have no-” then my eye caught sight of the layaway shelf with its lone package. “Wait a minute,” I told the boys. I walked over, picked up the package, unwrapped it and, miracle of miracles, there was a pair of skates! Jimmy reached for them. Lord, let them be his size. And miracle added upon miracle, they were his size. The older boy presented the dollars to me. “No,” I told him, “I want you to have these skates, and I want you to use your money to get some gloves.” The boys just blinked at first. Then their eyes became like saucers, and their grins stretched wide when they understood I was giving them the skates. What I saw in Jimmy’s eyes was a blessing. It was pure joy, and it was beautiful. My spirits rose. The tingles in my spine weren’t from the cold. God had planned this. As we waved good-bye, I turned home to a brighter Christmas. « Where do you find happiness?